Recently I wrote about Midlife being a process of re-creating from the unraveling. It's such an important concept for me, and I hope it struck a chord with other Midlifers. We aren't falling apart, we are growing and blooming and becoming more authentic every day. 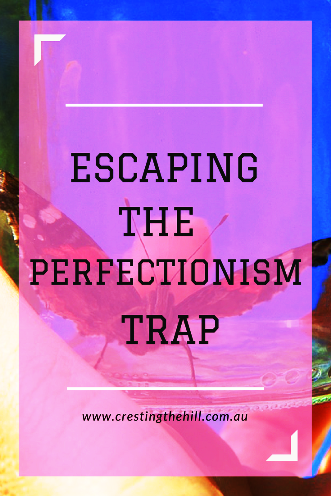 But one of the biggest issues I've had to deal with in the process of finding my true self was the whole Perfectionism trap. I always saw perfectionism as something to be aimed for and attained. It was the pinnacle of having succeeded when I managed to do something perfectly. Ticking all the boxes made me happy and gave me a sense of control. I felt like I could stand in front of others and not feel like a failure or second best. It was really important to me to get it right - and preferably to get it right first time, every time. When I did something and got it right I had a real sense of pride - I felt like I had proved my worth and that I'd met the standards that I thought were vitally important to attain. It gave me a sense of security to do something well and to not feel like others would be judging me - if I didn't fail and I did it perfectly then there was nothing to judge - so I was definitely a success in that area. When I failed to achieve the standard I set for myself I'd feel like I'd let myself (and everyone else) down. If I wasn't the perfect parent then my children would be irretrievably damaged, if I wasn't the perfect wife then my husband would be missing out, if I wasn't the perfect daughter then my parents weren't being cared for enough, if I wasn't the perfect employee then I wasn't doing the job well enough. It was a tough standard to keep reaching for and hoping to get right. It wasn't until a few years ago, after I read Brené Brown's book "The Gifts of Imperfection", that I finally began to realize that my perfectionist nature was really my insecurities controlling my approach to everything. I felt so much more worthwhile if I was doing everything right, if I was making other people happy by agreeing to do more and be more. I did this at the expense of my own needs and because I didn't know I could set boundaries in place and that it was okay to say 'No' to things that I really didn't feel like doing. It's such a relief to be less than perfect, to let go of trying to be all things to all people. It's liberating to admit that I get things wrong and I make mistakes. It's powerful to put boundaries in place and to ask for other people to respect them. It also frees me up to try new things - if I fail then, really, it's no big deal. Before I wouldn't attempt something new or out of my comfort zone unless it was guaranteed I'd do it well - so many lost opportunities! I still have moments when I want to be the perfect wife, the perfect mother, the perfect mother-in-law, the perfect Nan, the perfect daughter, the perfect employee. I still struggle with being disappointed when I drop the ball and don't meet the standards that would make me feel like I had it all under control. But you know what? That's okay too - I can be a work in progress - imperfect but real. Maybe that's perfect enough. 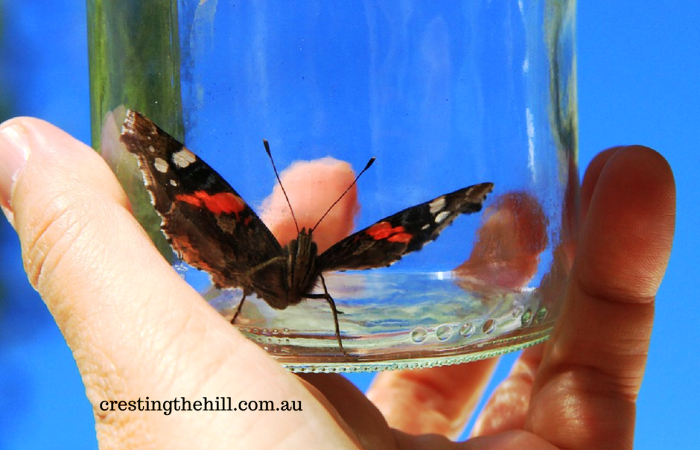 Are you a recovering perfectionist like me? Or are you still in the trap of trying to keep all the balls in the air? Or are you one of those amazing people that had enough self-confidence from Day 1 to never have gotten caught in the Perfection Trap in the first place? Nah, I'm like you - trying to break out of the perfectionist trap, but also trying to keep all the balls in the air. It's a strange balance isn't it Jo? Knowing which ball is allowed to drop without completely losing the juggling act in the process. Not only are there the perfectionist traps you so well describe, there are the family classifications traps to overcome too; the brain, the artist, the athlete, the clown etc. Being who we really are, not stuck in a trap is really living!! You're so right Haralee - I was always the "good child" the one who didn't get in trouble and who did what they were told - got really stuck in that trap! Meanwhile my brothers had a great time doing whatever they felt like - "boys will be boys!" Trying. Not necessarily succeeding. Women are so hard on themselves! We are aren't we Diane? I know I'm the one who sets the bar for myself ridiculously high - and then feels like a failure when I miss. Crazy stuff! I agree with Diane! We are way too hard on ourselves. I know - as much as I'd like to blame someone else for it, I know that I do it to myself and it's on me to make the changes and cut myself some slack. Hi I'm Emily and I am a recovering perfectionist. Love this post, Leanne! I have made great strides in the past 7 or so years since I had the same realization you did - "my perfectionist nature was really my insecurities controlling my approach to everything." Even though I still mentally berate myself when I produce something less than perfect, it is done. No more obsessing, I tell myself. Emily we should start Perfectionists Anonymous! That mental berating is something that I deal with all the time - such a waste of time and something I'm working on too. One day we'll be carefree! One of the many advantages of getting older is that I no longer need to be the lead rat in the race. I love that expression Elaine - I might even borrow it to remind myself that I don't have to be "lead rat" and to stop running myself ragged! Hi Leanne, I can totally relate to this post. I am a perfectionist. It could be anything from writing an article, or planning an outing or buying something or keeping up with blogging schedule. I look for the ideal and the most correct way of doing it. If things don't end up the ideal way it is supposed to, then I am upset. And, as you have rightly said, not always anything is perfect. So, now I have come to terms with it. I do my very best that is possible, and leave it there. It's working. Isn't it amazing that we can do something really great and still notice what we didn't do? For anyone to run 42kms is a huge achievement - to do it as a mature aged woman (small generalization there) and finish it with a smile is fan-blooming-tastic and you should be shouting it from the rooftops Sue. I soooo agree with you avout enjoying the experience rather than rating ourselves on the perfection scale. Leanne, another great post! Very reflective and thought provoking. I've never really been a perfectionist but I certainly lived my life with the hopes of being accepted. While very similar in symptoms, the root illness, I think, is slightly different. I have let much of it go through life...but also still a work in progress. It all circles back to people pleasing and wanting to be accepted and not judged I think Janet. To know that our best is enough and that people love us and think we're doing great is such an affirmation isn't it? Leanne, Spot on. I am a perfectionist. I was also the "good child" and still struggle with what I think of as family and societal expecations. I've been told I have too high expectations and that I am too hard on myself. I am fearful of trying things for fear of failure; I rethink situations again & again when I could have done it better (if it didn't meet my expectations). Self-acceptance and feeling I am enough, feeling like I belong... this is the space I need to grow! Thanks for a lovely thought provoking post. I need to get that book! Everything you just described also fits my personality Pat - it's a hard road that we created for ourselves. I really try to not beat myself up as much these days and to remind myself that imperfection is a good thing and perfection is completely unrealistic and unfulfilling - I'm still a work in progress and probably will be for the rest of my life. 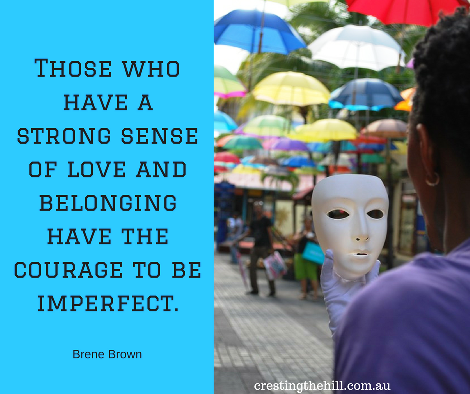 Isn't Brene Brown wonderful? One of my favorite reminders on perfection is: "Perfection is not a standard. It's an obstacle." I call myself a recovering perfectionist. It feels good to let it go. Pinning to share! Maybe Tweeting too...this is a really good piece. Thanks so much Leah - it wasn't until I discovered Brene and her very sensible approach to this subject, that I woke up to how much damage I was doing to myself by holding myself to such unrealistic expectations. I'm a bit less dogmatic these days, but I still slip up and get annoyed at myself if I think I could have done better. I'll get there though! It's funny Jo because you always seem so confident and like you have everything worked out - all your ducks in a row! It's hard to believe that there is insecurity underneath it all - but I guess that'w what a lot of us are like - we wear the mask and desperately hope to achieve the inward confidence to match the outward presentation! I spent years of my life trying to be perfect. Remember the old Jamie Lee Curtis movie Perfect where she was an aerobics instructor and at one point she yells out, " What's so wrong with trying to be perfect?" I totally related to her and to why she was frustrated with any one who didn't understand her quest to be perfect. I am much more mellow and not so driven to be perfect now, but I still have those perfectionism tendencies! I'm not sure why I do it to myself Michele - where the perfectionism came from and became so ingrained. I think it's probably trying to please my parents and never feeling any genuine praise, so trying harder each time. I'm slowly learning to let that need for affirmation become less important, but it's still under there - the child looking for approval I guess. I think there's a lot of us who missed some wonderful opportunities because we were too afraid we'd fail or not measure up Jennifer. I'm glad you've moved past it and can enjoy life on your own terms - I'm about a decade behind you, but hope to get there eventually. Such pressures you put on yourself to be perfect in your various roles, Leanne. I'm glad you're taking a different approach. I'm a bit surprised to see how many commenters had similar experience to yours. I'm an odd one to say I haven't been a perfectionist. When I take on something, I strive to do well, and usually hit the very good to excellent range but I don't aim for perfection. I enjoy the process of me doing something well more than the 100% end result. I wonder if we compared childhoods if there would be a glaring difference somewhere that allowed you to develop your self confidence rather than the need for approval that a lot of us are burdened with Natalie? If we could figure out what it was we could start a self help group and make a fortune! I'm in the recovering perfectionist camp. The thing about being a perfectionist is it held me back from trying new things outside my comfort zone, because I didn't want to be "bad" at anything and risk looking foolish. Also, once I committed to something, it was hard to let go, if it turned out it wasn't for me after all. That would be admitting I made a "wrong" choice to begin with. 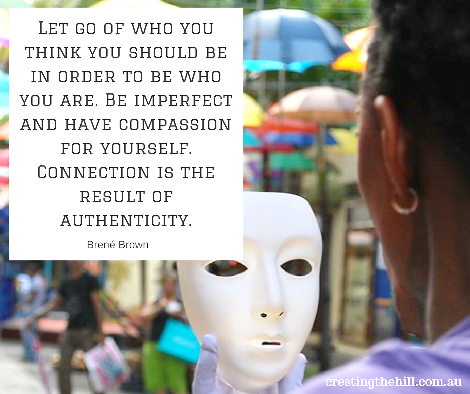 I love Brene Brown's Gifts of Imperfection. I'm reading Rising Strong now. I feel exactly the same way Christie - that fear of failure, or of not doing well stopped me from trying lots of things (still does to a degree). I'm hoping that one day I'll be able to launch into new endeavours without a single thought as to whether I'll be good at it or not, or whether people will laugh at me, or whether I'll look silly etc - there's always hope! Maybe I need to read Rising Strong next too. And... another recovering perfectionist joins the ranks. The thing I learned about "perfect" is that it means different things to different people. So while I was busy trying to be my version of 'perfect' the recipient of my perfectionist tendencies wasn't even aware. Now that is the definition of waste of time. The thing I like best about being online is how fast things change... I tend to explain now that "perfect is a moving target" so "done is better than perfect"!! It's definitely a character trait of our generation isn't it Agnes? I think older generations were busy just getting on with life, and younger generations have that innate self confidence - we seem to have been stuck in limbo. At least we can recognize it and work on ourselves - the sheer relief of finding out that I didn't have to be perfect and that imperfection wasn't a bad thing was a godsend for me. I have never strived to be perfect. I am not a competitive person and have always been what you see is what you get. I have always tried to do my best and left it at that. Ahhhh Victoria - you got to be an achiever without even trying - bonus points to you! I wish I'd figured out whatever it was that you cottoned onto in my younger days - I always wanted to be the best and to not make mistakes. I intend to approach life differently these days, but it still sneaks up on me at times. I meant, "dyed in the wool." See?! A mistake! ARRRRGGGH. Your correction made me smile Jean - a perfect example of your comment :) And yes, my mum is lovely and I don't feel the need to prove myself as much as I did when my father was alive and never seemed to notice anything I did. Ultimately it was his loss and I've come to learn that I am enough in myself - probably more than enough sometimes! I'm less of a fan of learning new things Jennifer - so many more things to potentially fail at (gosh I'm definitely a work in progress!) But I've also been learning to let others do the job and maybe not do it as well as me, but it's still done well enough and it frees me up for things I like doing better. You accurately summed up my entire life, Leanne! I try to read Brene Brown's book, The Gifts of Imperfection, at least once a year. There is SO much goodness in that book - so many new tapes I need to program into my brain. But, with baby steps and lots of personal grace, I am making progress - and so are you! Will pin this to my #MLSTL board for future reference - as I know I will lapse into that perfectionism trap again. Hi Molly - we definitely need to start a club for recovering perfectionists don't we? I love that Michael J. Fox quote and will keep it in mind when I'm pushing myself to be more than I need to be. Learning to be enough and not having everything exactly right is so tricky - but also so worthwile! Leanne, I grew up being a perfectionist, and like many/most/all perfectionists, I thought it was a good thing, but finally realized in my 30s that it was not a good thing. Took a while, but I finally got free of it. At least you woke up to it in your 30s Jean - it took me until my 50's to even begin to get a handle on the whole perfection/imperfection balance! I think we definitely need a Perfectionists Anonymous - we could keep it for women over 50 and be inundated with applicants Debbie - and I laughed when I saw that you had to correct your apostrophe placement - we'll be fighting it til our dying breath! A great liberating post Leanne. I loved the little video as well. Let's liberate some more and feature this post on the next Blogger's Pit Stop. 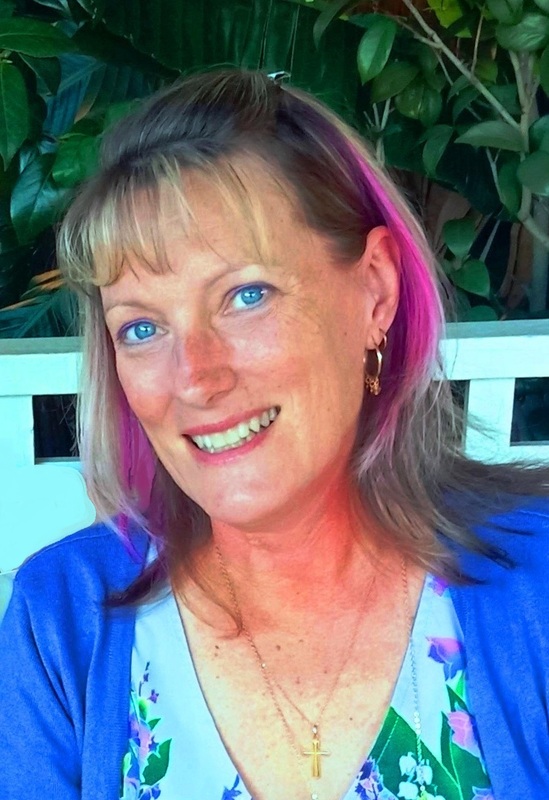 I can be much the same Lori Jo - always trying to get everything perfect and being disappointed in myself if I don't get it exactly right, or I don't say Yes to a request, or if I don't get something right the first time. I'm slowly learning to be kinder to myself and to realize that I put more pressure on myself than anyone else does and it's time to ease up a bit! Blogging can become a bit of a trap for this too - but fortunately I've wound back a little and I'm okay just cruising these days. I am so aware of how perfectly imperfect I am and I am so OK with it because it makes me so uniquely me.